Radiation therapy and immunotherapy in combination have the ability to achieve a synergistic therapeutic effect. Indeed, while the standard view of whole body radiation is as an immune system detriment, there is growing evidence of focal radiation toward the contrary, supporting the notion of a combination treatment. Ideally, immunotherapy could be utilized to thwart cancer’s dampening effect on the immune system. An effective primary immune response would have obvious benefits for patients. Recent clinical trials have been developed to explore the feasibility of immunotherapy combined with radiation therapy. The treatments within each trial vary, but all combine a standard radiation therapy with an immunotherapy; for example, radiation therapy in addition to intratumoral dendritic cell injection. Thus, radiation-driven immunotherapy (RDI) is an exciting area of research where evidence is accumulating suggesting this biological process may have important ramifications for the future of clinical radiotherapy. In patients undergoing radiation, the complex interplay of tumor cell death, antigen expression, inflammatory signals, and lymphocyte and dendritic cell activation presents a unique therapeutic opportunity. The whole therapeutic effect can exceed the sum of its parts and can present the potential for further improvement of immunotherapy effects arising from therapeutic tumor irradiation to generate immunologic-mediated, radiation-driven personalized systemic therapy or RDI. A fundamental mechanism of tumor killing through radiotherapy is induction of DNA damage in the cancer cells. This view is not a complete picture of the time course of cellular events within the tumor. Indeed, there are associated changes in the microenvironment, tumor-associated endothelial cells, inflammatory infiltrates and in systemic responses to the tumor destruction. 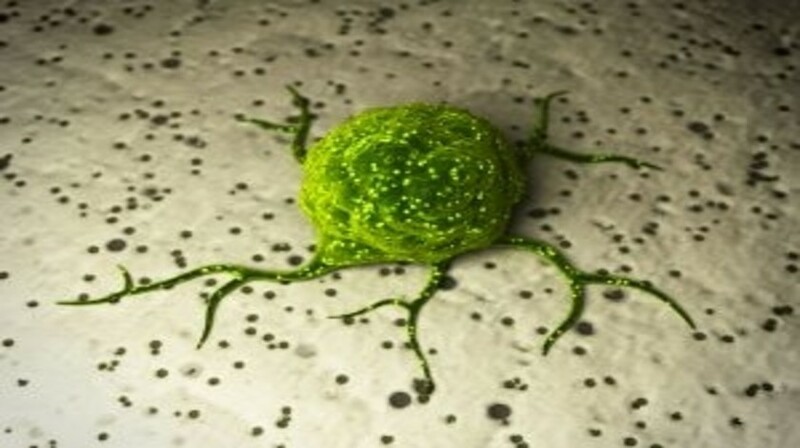 Areas of higher dose exposure inside the bulk of the tumor may have markedly different pathways to cell death, emphasizing necrosis mechanisms. The time course of changes of antigen expression during the cell-killing process and differences among radiotherapy techniques can be relevant . Several events have been studied for their specific immunotherapy relevance, beyond the phenomenon of cells dying within the radiated tumor. Some of the downstream events relate to inflammation and clearance of antigens within the irradiated volume; those of most interest are those that influence acquisition of a more activated general or more activated tumor-specific phenotype. The most dramatic outcome is when a distant tumor mass regresses as a consequence of this, known as the abscopal effect. Examples of this are described in case reports [2–4] and preclinical studies , which have led to recently completed clinical trials [6–12]. Other less apparent outcomes as a consequence of the radiation-triggered immune activation include acceleration or completion of definitive clearance of the irradiated tumor or clearance of microscopic or other metastatic disease that was not clinically apparent. There are opportunities to transform the phenomenon of radiotherapy induced anticancer immune response from isolated case report into reproducible reality. One component is the understanding of how to use systemic therapies to make the host lymphocyte compartment and antigen-presenting cell compartments become primed to be stimulated. Examples of immune modulators with the potential of having a significant impact on therapy include TLR9 agonists, [13, 14] all-trans retinoic acid  and inhibitors of VEGF, TGF-β, or of other cytokines [16–18]. Stimulation of the lymphocyte compartment with checkpoint inhibitors and cytokines also appears poised to make a significant contribution to clinical practice. Another interesting component is development of further effective ways to provide tumor-associated antigen to the immune system. Recombinant vaccines, tumor lysates and synthetic peptides have attributes of convenience and definable antigen sets, they cannot be considered interchangeable with tumor irradiation as a source. Features of tumor irradiation include simultaneous elaboration of subtle microenvironmental changes with the capacity to improve antigen presentation, total tumor as a source of antigen, production of radiation-induced antigens, and provision of antigen even before overt or immediate cell kill. Further, evolving flexibility of radiation techniques, particularly in relation to conventional fractionation, hypofractionation, brachytherapy, sterotactic radiosurgery techniques, and high intratumoral dose exposure may be particularly of interest for optimization with respect to the potential to trigger an abscopal response. This may be related to tumor effect, dendritic cell effect, lymphocyte effects, or indirect modulation of the way the tumor is affecting leukocyte compartments. An additional component of exploration is cellular therapy; many questions about timing with respect to irradiation, details of ex vivo preparation remain to be addressed empirically. Appropriate patient preparation, selection, and antigen loading could improve outcomes as well. The optimal volume and number of cells merits empiric study. Finally, as a necessary part of clinical development, there must be some focus on specific cancer diagnoses. Overall, there is much excitement for the combination of immunotherapy and radiation therapy moving forward, though the interplay between the two treatments requires further analysis. 1.Finkelstein SE, Timmerman R, McBride et al. The Confluence of Stereotactic Ablative Radiotherapy (SABR) and Tumor Immunology. Clinical and Developmental Immunology DOI: 10.1155/2011/439752 (2011). 2.Kingsley DP. An interesting case of possible abscopal effect in malignant melanoma. Br J Radiol. 48 (574), 863–866 (1975). 3.Stamell EF, Wolchok JD, Gnjatic S, Lee NY, Brownell I. The Abscopal Effect Associated With a Systemic Anti-melanoma Immune Response. Int J Radiat Oncol Biol Phys. 85(2), 293–295 (2012). 4.Postow MA, Callahan MK, Barker CA et al. Immunologic correlates of the abscopal effect in a patient with melanoma. N Engl J Med. 366(10), 925–931 (2012). 5.Finkelstein SE, Heimann DM, Klebanoff CA et al. Bedside to bench and back again: How animal models are guiding the development of new immunotherapies for cancer. J Leukoc Biol. 76(2), 333–337 (2004). 6.Gulley JL, Arlen PM, Bastian A et al. Combining a recombinant cancer vaccine with standard definitive radiotherapy in patients with localized prostate cancer. Clin Cancer Res. 11(9), 3353–3362 (2005). 7.Finkelstein SE, Rodriguez F, Dunn M et al. Serial assessment of lymphocytes and apoptosis in the prostate during coordinated intraprostatic dendritic cell injection and radiotherapy. Immunotherapy. 4(4), 373–382 (2012). 8.Finkelstein SE, Gabrilovich D, Bui M et al. Combination of External Beam Radiation (EBRT) with Intratumoral Injection of Dendritic Cells as Neo-Adjuvant Treatment of High-Risk Soft Tissue Sarcoma Patients. J Radiat Oncol Biol Phys. 82(2), 924–932 (2012). 9.Finkelstein SE, Trotti A, Rao N et al. The Florida Melanoma Trial I: A prospective multi-center phase I/II trial of post operative hypofractionated adjuvant radiotherapy with concurrent interferon-alpha-2b immunotherapy in the treatment of advanced stage III melanoma with long term toxicity follow up. ISRN Immunology. DOI:10.5402/2012/324235, Article ID 324235 (2012). 10.Kamrava M, Kesarwala AH, Madan RA et al. Long-term follow-up of prostate cancer patients treated with vaccine and definitive radiation therapy. Prostate Cancer Prostatic Dis.15(3), 289–295 (2012). 11.Redman BG, Hillman GG, Flaherty L, Forman J, Dezso B, Haas GP. Phase II trial of sequential radiation and interleukin 2 in the treatment of patients with metastatic renal cell carcinoma. Clin Cancer Res. 4(2), 283–286 (1998). 12.Kerst JM, Bex A, Mallo H et al. Prolonged low dose IL-2 and thalidomide in progressive metastatic renal cell carcinoma with concurrent radiotherapy to bone and/or soft tissue metastasis: a phase II study. Cancer Immunol Immunother. 54(9), 926–931 (2005). 13.Brody JD, Ai WZ, Czerwinski DK et al. In situ vaccination with a TLR9 agonist induces systemic lymphoma regression: a phase I/II study. J Clin Oncol. 28(28), 4324–4332 (2010). 14.Kim YH, Gratzinger D, Harrison C et al. In situ vaccination against mycosis fungoides by intratumoral injection of a TLR9 agonist combined with radiation: a phase 1/2 study. Blood. 119(2), 355–363 (2012). 15.Mirza N, Fishman M, Fricke I et al. All-trans-retinoic acid improves differentiation of myeloid cells and immune response in cancer patients. Cancer Res. 66(18), 9299–9307 (2006). 16.Zeng R, Spolski R, Finkelstein SE et al. Synergy of IL-21 and IL-15 in regulating CD8+ T cell expansion and function. J Exp Med. 201(1), 139–148 (2005). 17.Gattinoni L, Finkelstein SE, Klebanoff CA et al. Removal of homeostatic cytokine sinks by lymphodepletion enhances the efficacy of adoptively transferred tumor-specific CD8+ T cells. J Exp Med. 202(7), 907–912 (2005). 18.Dewan MZ, Galloway AE, Kawashima N et al. Fractionated but not single-dose radiotherapy induces an immune-mediated abscopal effect when combined with anti-CTLA-4 antibody. Clin Cancer Res. 15(17), 5379–5388 (2009).